Phoenix City Council voted earlier this month to raise water rates 6 percent this year and 6 percent again next year to fund infrastructure fixes and add new systems to pump water to North Phoenix— should an expected shortage of Colorado River water occur. The average Phoenix resident currently pays $33.62 per month for water. The increase will be about $2 per month for the average customer, starting March 4, then an additional $2.37 per month in 2020. Sewer rates won’t change. High water users can expect larger increases. Residents get an allowance of water each month, varying by meter size. Additional monthly charges vary by volume used, meter size and season (higher in summer than winter). “For those that keep their water consumption within this allowance, average monthly bills will increase by only approximately $1 per month in 2019 and by an additional 75 cents per month in 2020,” Stephanie Bracken, City Water Services Department spokesperson, told In&Out. 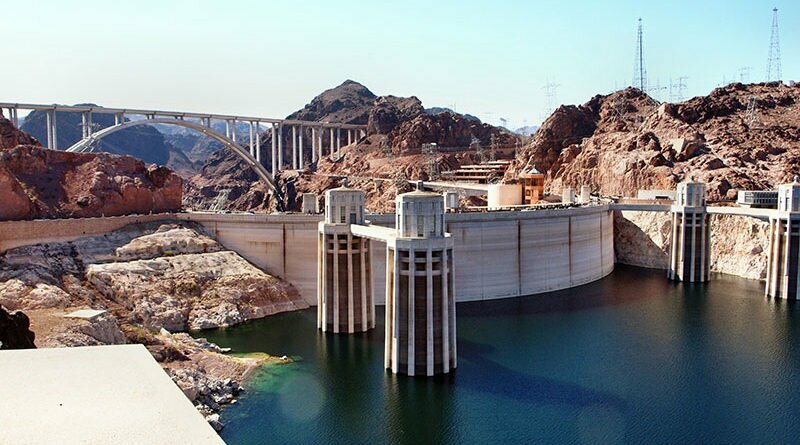 If Lake Mead’s surface elevation falls below 985—considered the “deadpool” level—water can’t enter the intakes in these towers, and so can’t be delivered to downstream customers like North Phoenix. Water from the Colorado, via the Central Arizona Project, faces a better than 50/50 chance of a shortage in two years and the growing possibility of a total cutoff in four years [See "Water Shortage,” In&Out, Oct. 4, 2018]. Phoenix gets about half its water from the Salt & Verde Rivers, and has access to natural and recharged aquifers under the Valley floor. But none of it can flow to far North Phoenix, given elevation changes. The rate increase will fund new pipes and pump stations to move water north, new wells to extract groundwater, and maintenance on existing facilities and pipes, some up to 100 years old. The measure failed in a December vote. With three council members in favor and four against, Williams held a deciding vote. Rather than vote “yes” and create a tie, she voted the measure down “as a matter of procedure to be able to bring the item back for reconsideration,” explained her spokesperson, Raquel Estupinan. Councilmember Laura Pastor had a change of heart in the January vote, and the measure passed 5-3.